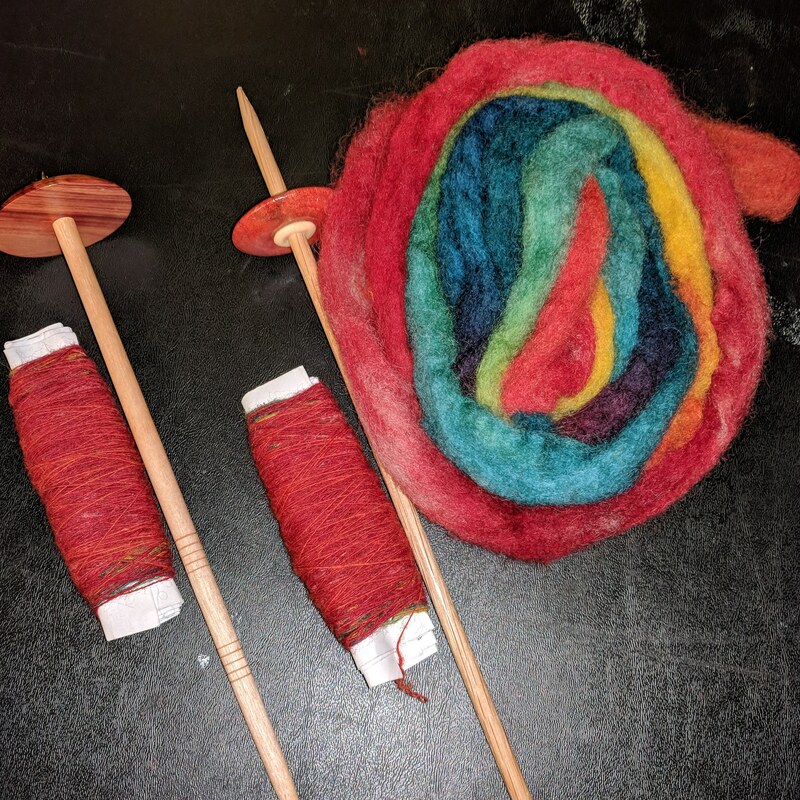 A tiny sample of colorful wool and two spindles were gifted to me — here’s what I did with them over the span of a month. 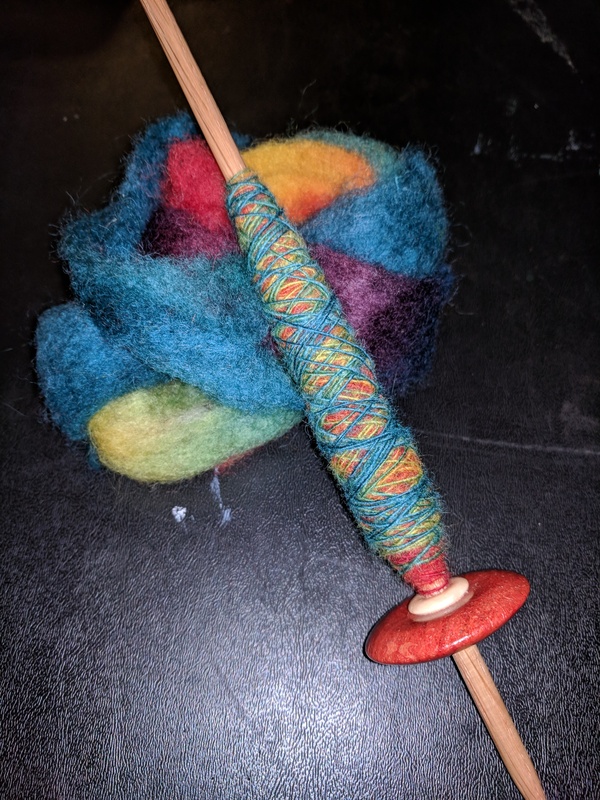 I split this wool into three approximately equal parts (over the length, end-to-end) and spun singles from each, then three-plied them together. 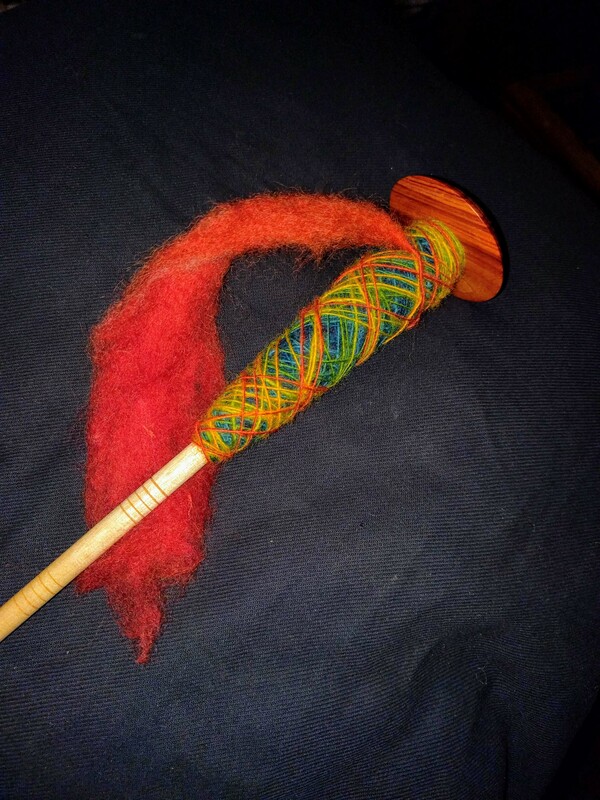 Some birthday joy gifted to me early from a spinning friend (thank you, ❤️ Ercil!) 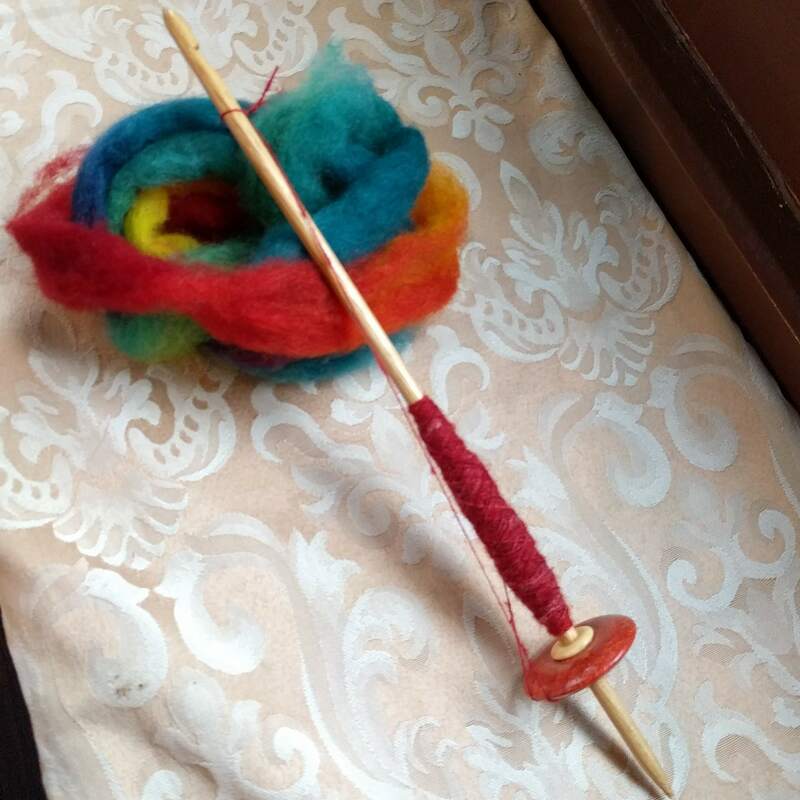 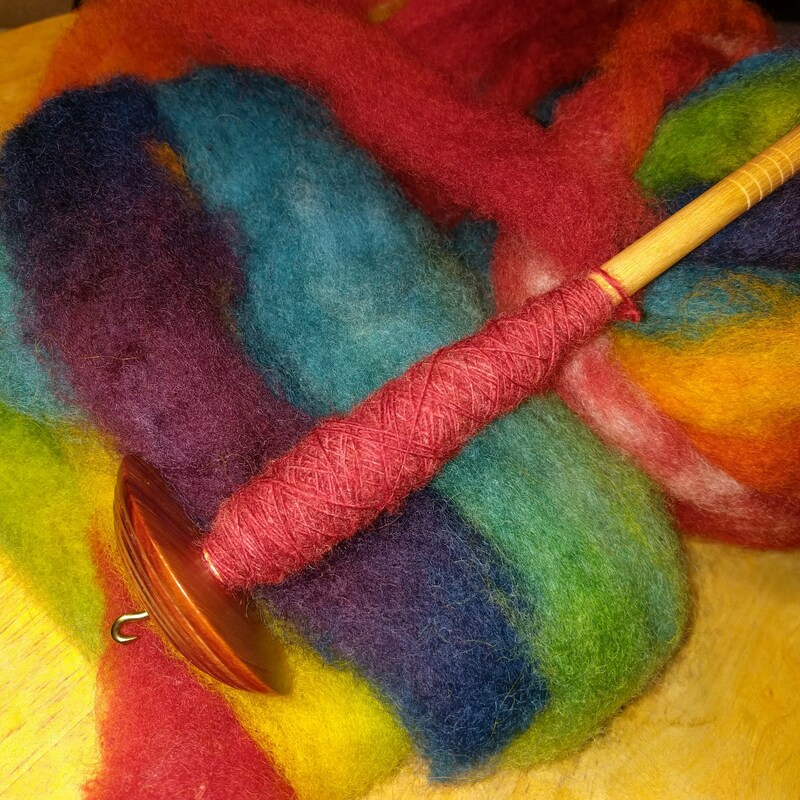 #treats I split this wool into three approximately equal parts (over the length, end-to-end) and plan to spin singles from each, then three-ply them together. 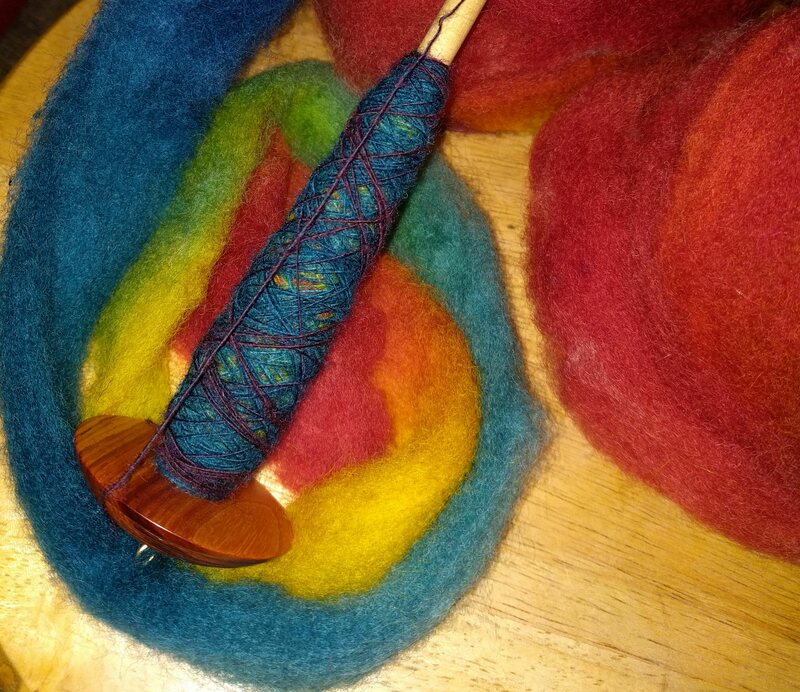 Found my retractable measuring tape and am starting to measure all the partial skeins on my drop spindles. 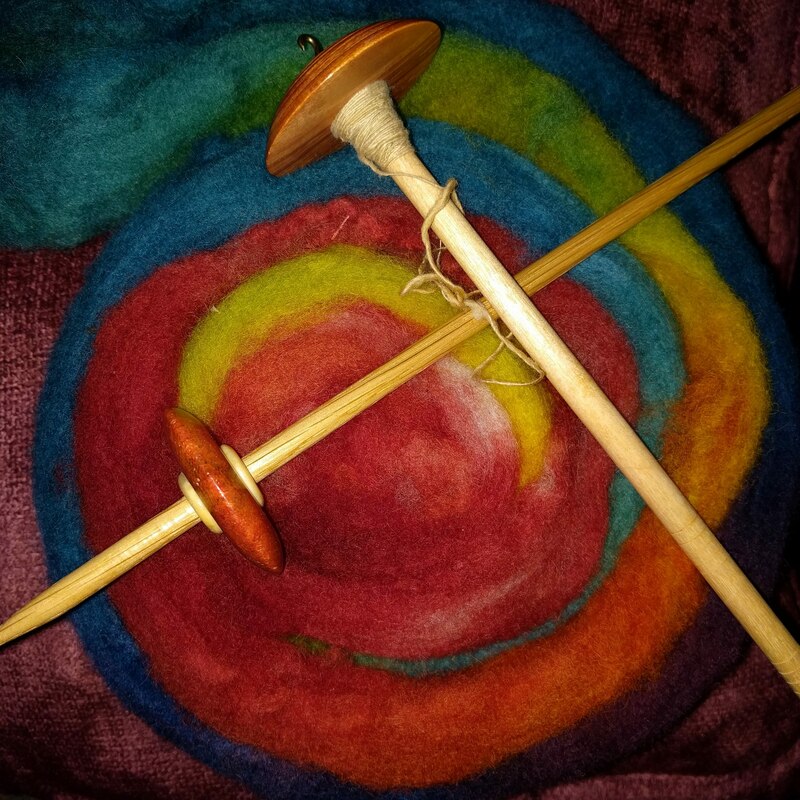 First one will be the wool I spun when silk was killing me, plus spindle I could take into the restaurant last night. 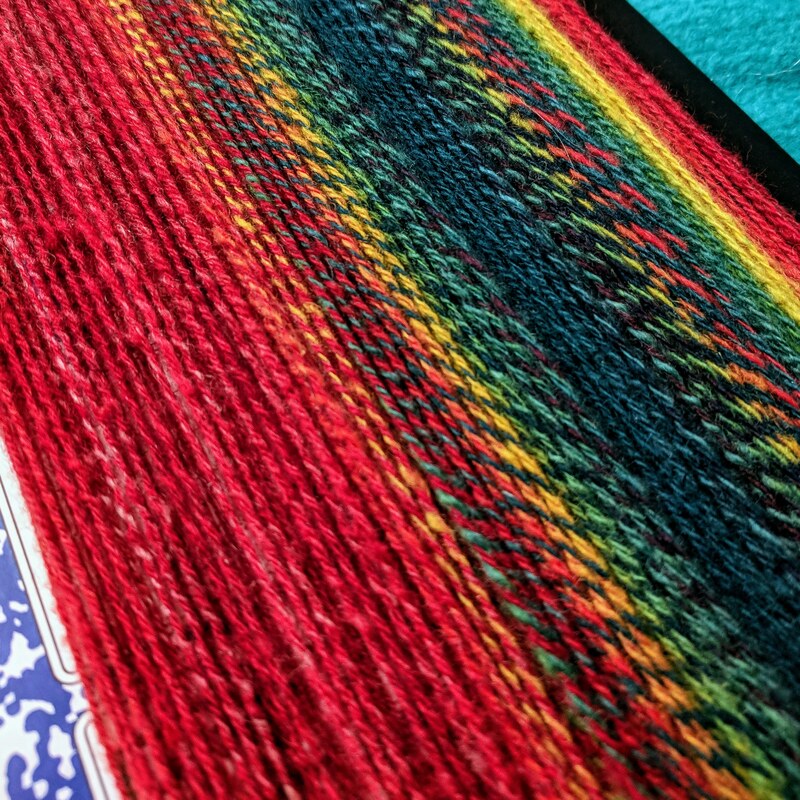 A respectable 15.5 yards starts my list. 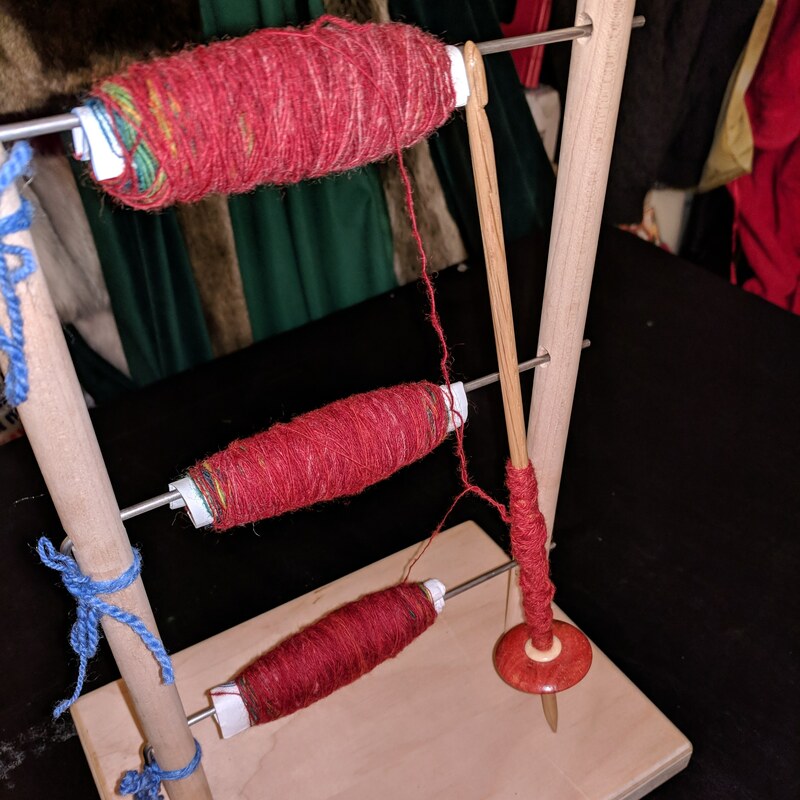 Next, there's two spindles in my work bag to unspool, measure, and rewind. 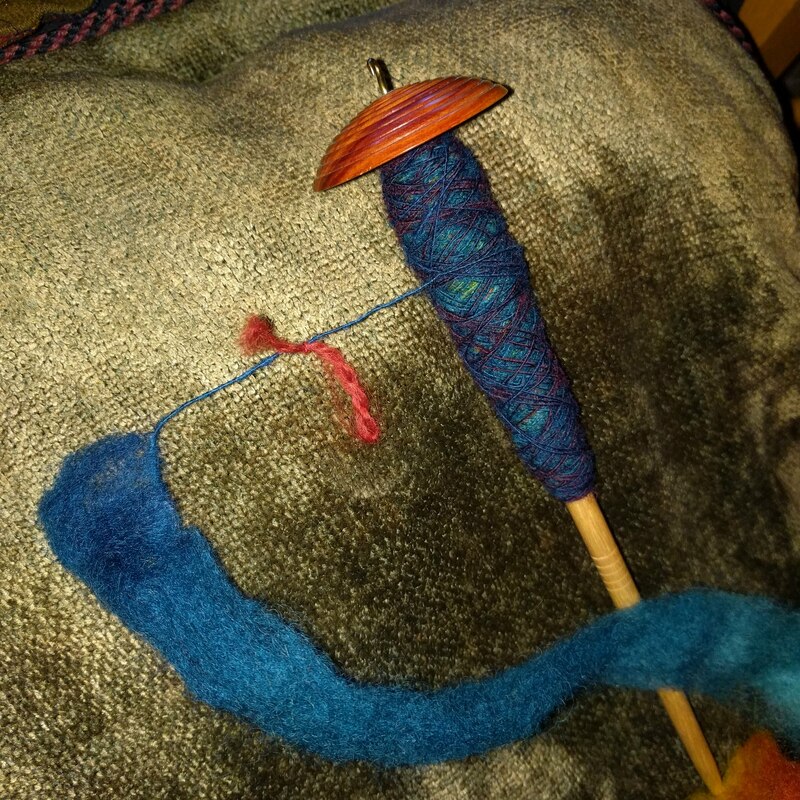 Those "partial projects" are nice, but awkward to measure.